The second season of “Queen Sugar” is underway, with the Bordelon family gracing the screen with their superb acting chops, storylines that move the soul and cinematic snapshots that are reminiscent of dreams. 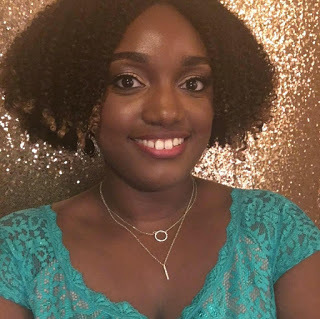 Now is the perfect time to revel in the show that is black, and represents everything blackness is – complex, beautiful, strong, creative, spiritual, unique, powerful, limitless, evolving and divine. “Queen Sugar” is the response to a lack of diversity in film and television, from the directors and cinematographers who bring the ideas to life, to the screenwriters who craft poetic scripts, and the characters that feel like people we know, maybe even ourselves. No wonder more women tuned in to the premiere episode, making it the highest rated episode for the series so far. Week after week, viewers mature, millennial and young adult alike dissect, enjoy and appreciate the brilliance that “Queen Sugar” is. 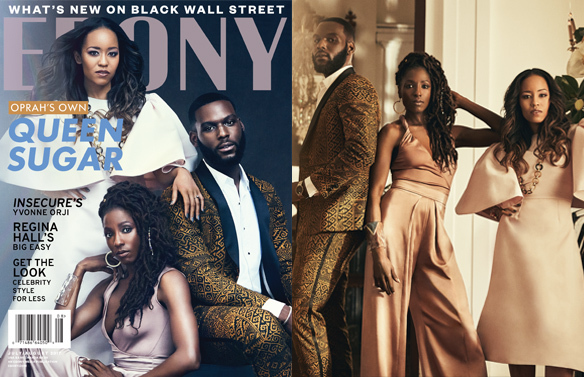 This month’s issue of Ebony magazine will do just that by dedicating its July/August cover issue to the Bordelon siblings – Charley (Dawn-Lyen Gardner), Nova (Rutina Wesley) and Ralph Angel (Kofi Siriboe). According to Ebony.com, the issue features interviews with crew and cast members focused on diversity in Hollywood and authentic depictions of Black America. Want to read more? Catch the rest of Ebony’s exclusive interview in its newest issue, which will be on newsstands this month. What do you think about the second season of “Queen Sugar” so far? Are you excited to see the Bordelon trio on the cover of the next issue of Ebony?